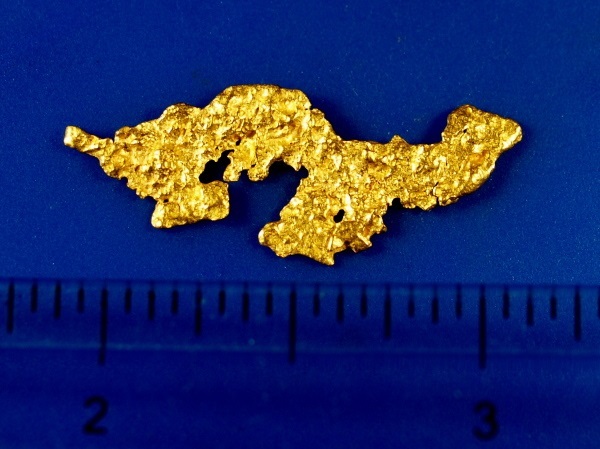 Here is an spectacular piece of gold that comes from the goldfields of Western Australia. 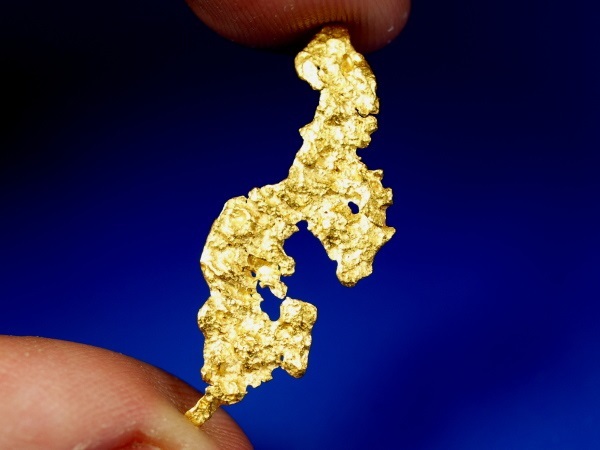 This is a fascinating piece of natural gold that has been hammered thin over millions of years, creating a natural sheet of high purity gold in this amazing shape. Looks like a dragon to me! 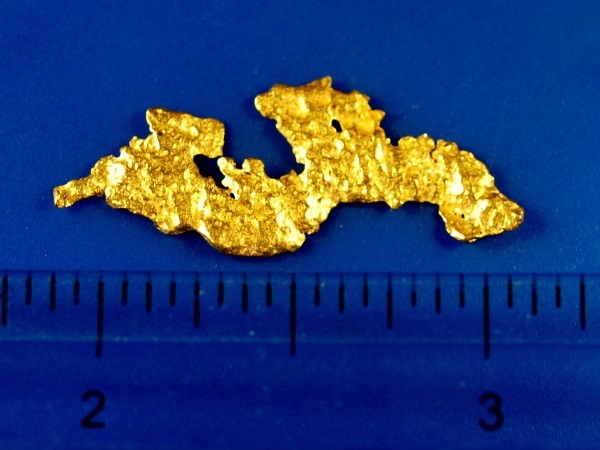 It weighs 1.76 grams and due to it's thin shape it is over 1" long! Shipping is Free with a nice display case included.